The Wessex Food Corporation has named Wilma Frank as its new chief executive officer, according to Wessex public relations officer Howard Ryder. Ms. Frank replaces Patrick James, who, after twenty-five years at Wessex, has moved over to the Benfield Corporation to become its chairman of the board. Ms. Frank, a former government employee with fifteen years in the private sector, has been at Wessex for almost a decade. 1. What is the purpose of the article? 3. How long has Ms. Frank been working at the Wessex Food Corporation? The world watched in horror as two hijacked planes crashed into the twin towers of the World Trade Centre in New York on September 11, 2001. American Airlines Boeing 767 crashed into the north tower first, killing hundreds of people instantly and trapping hundreds above the 80th floor. Exactly 18 minutes later, a second plane crashed into the south tower. Following this, an additional plane crashed into the west side of the Pentagon. The attackers were millitants associated with the extremist group Al Qaeda reportedly seeking revenge for America’s support of Israel, as well its role in the Persian Gulf War and its military presence in the Middle East. Over 3,000 people were killed in the terror attacks of September 11th, 2001, among those over 400 firefighters and police officers. 1. What happened on September 11, 2001? 4. Based on the report, how many people were killed at that time? 5. According to press release, who commenced the attack? 1. What is the song about? 2. What does the word “so weary” (line 1) mean? One day, there was a beautiful girl. Her name was Roro Jonggrang. Her beauty was so famous around the country. Every man wanted to marry her. One of them was Bandung Bondowoso. He was a young man with a supranatural power. Roro Jonggrang agreed to marry him with one condition. He had to build one thousand temples during one night. Helped by the devils, Bandung Bondowoso built the temple. Passing the midnight, his work was nearly finished. Roro Jonggrang woke the girls in the village up and ordered them to grind the rice. The sound made the roosters crow. They thought that it had been already dawn. Bandung Bondowoso got frustated because he failed to complete the temple. Because of his anger, he cursed Roro Jonggrang to be a statue. This statue completed the number of temples, that was one thousand temples, like what was requested by Roro Jonggrang. 1. Who wanted to marry Roro Jonggrang? 2. What was the demand of Roro Jonggrang to Bandung Bondowoso? 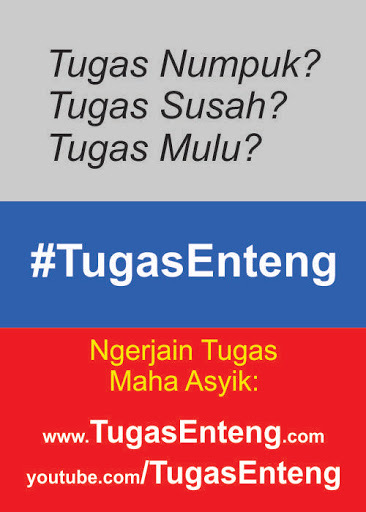 3. Who helped Bandung Bondowoso to manifest the demand of Roro Jonggrang? 4. What did Roro Jonggrang do to make the work of Bandung Bondowoso failed? On Saturday morning at 9.30, I was walking down Sunda Street, looking for a record store. A man stopped me and (1) ... me the way to the Hyatt Hotel. I wasn’t sure exactly where it was, but I walked with him to the end of Sunda Street. He (2) ... very friendly, and his face looked so familiar. Then I remembered where the Hyatt was and told him how to get there. He thanked me and tried to give me something. I (3) ... it was money. I said “no” at first, but he really wanted me to have it, so I took it. I found the record store and (4) ... to a few records. D’Masive (5) ... a new record that was number two in the top twenty. I decided to buy it. I looked in my bag for my wallet and found a piece of paper the man gave me. It was a photo. I was so surprised! He (6) ... a singer in D’Masive.